Veterinarski Glasnik was launched in 1904 to offer researchers and professionals in the region and worldwide a place to publish their research findings and work. The Journal is devoted to the advancement and dissemination of scientific knowledge concerning veterinary sciences and related academic disciplines. 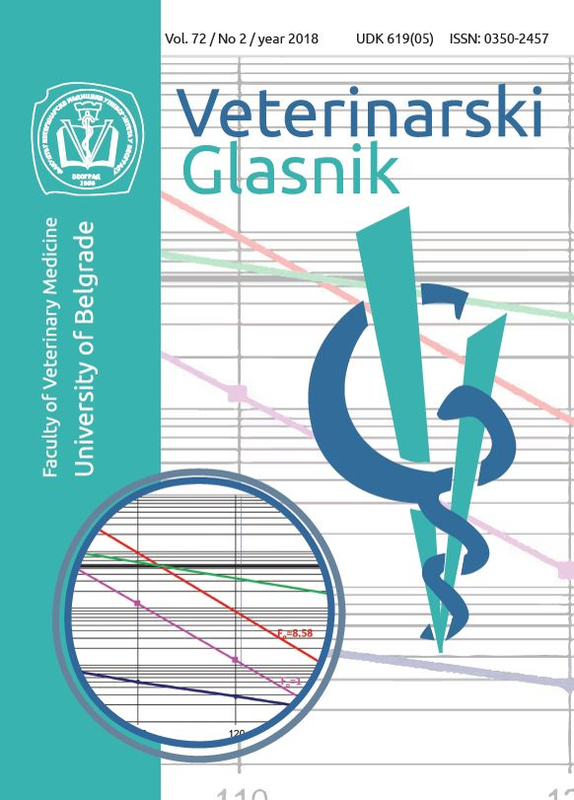 Veterinarski Glasnik is an open access, peer-reviewed scientific journal published by the University of Belgrade, Faculty of Veterinary Medicine. Registration and/or login are required to submit items online and to check the status of current submissions. This site will guide Authors stepwise through the submission process. Registration and/or login are required to submit items online and to check the status of current submissions. If you already have a username and password for Veterinarski Glasnik, continue to the Login Page. If you are not registered with this site, you need to fill in and submit the form available on the Registration Page. Veterinarski Glasnik is an Open Access Journal. All articles can be downloaded free of charge and used in accordance with the Creative Commons Attribution 4.0 International License (CC BY 4.0).